I eat gluten-free food. Get over it. A few years ago, I stopped eating wheat. That means bread, pizza, pasta, cake, crackers – all the things I previously loved – are off the menu. You’d think I’d be the only person to have an issue with that, right? After all, I’m the one whose dinner looks a little different. I still cook ‘normal’ food for my family, and I wouldn’t dream of inflicting my gluten-free* food on my friends. Except, there’s a whole bunch of people who seem to care about what’s in my shopping trolley. Like, really care. People like Julia Llewellyn Smith (who I’m sure is perfectly lovely and merely trying to earn a living, but who has just so happened to hit a big fat gluten-free nerve). The title of her article for The Telegraph says it all: The great gluten-free scam. It turns out I’ve been scammed, you see. In my search for a bikini body, eternal youth and inner peace, I have succumbed to the fashionable food whims of Nicole Richie, Gwyneth Paltrow et al. I – fickle little white, middle-class female – have jumped on the GF bandwagon, and will simply be swept along with the next faddy food trend to hit the pages of Heat. Well, Julia, try telling that to my bowels. Because it’s pretty hard to argue with explosive diarrhoea. Turn the clock back a few years and it all started on a shopping trip to ASDA. The nice lady behind the pharmacy counter took me to one side and asked if I’d thought about seeing a doctor about my stomach. I’d bought so many packs of Diocalm from her that I’d become a regular without even realising it. 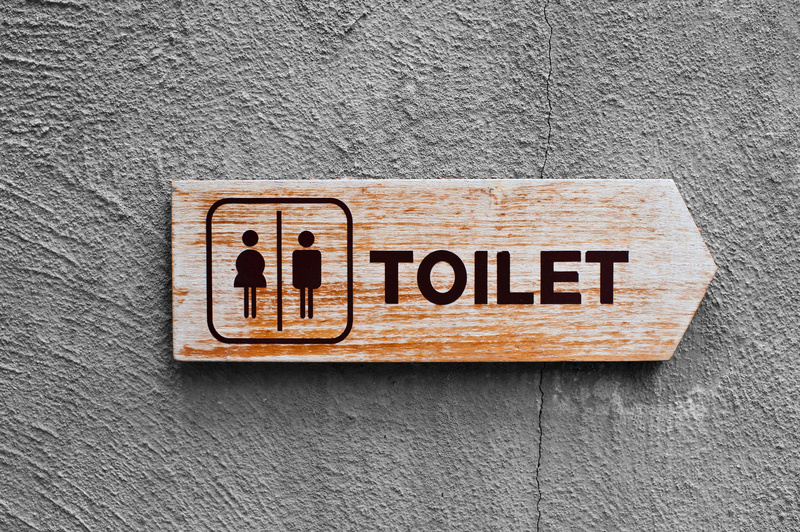 And the truth is, I’d always had a bad belly – my poor husband was used to leaving restaurants or friends’ houses early when I needed to spend another night on the loo doubled over with cramps. It had been that way since I was a kid. With the pharmacist’s words ringing in my ears, though, I made an appointment with the doctor and had tests to rule out food allergies, before she diagnosed IBS and listed various medications I could take. I didn’t fancy popping pills, so she suggested an alternative – I could see the nutritionist, and look a bit more closely at my diet. Off I went, and the first thing she asked was whether there was anything I suspected may have an adverse effect on my gut. A fondness for Marmite on toast and pasta with pesto had given me a good inkling, so our focus settled on wheat. So, that week, I cut it out. And everything stopped. As in, everything. The gas, the bloating, the cramps, the diarrhoea. Everything. Completely. Stopped. I hadn’t needed to take any pills, and I’d discovered new grains and alternatives to wheat in the process. I even found a whole range of convenient ‘free-from’ foods in the supermarket. I was happy. And so, I thought, would everyone else be. I’d figured it out. End of. Right? Wrong. Because for some reason that I’m yet to get my head around, there are a whole lot of people who would rather I just ate wheat. They’re the ones who proclaim loudly at the dinner table that ‘people in third world countries aren’t so fussy about what they eat!’ and, ‘isn’t it funny how these gluten-free foods didn’t exist years ago!’. Hilarious, I’m sure. To make matters worse, I am the worst of the worst as far as gluten-free eaters go. I am that dirty word. Intolerant. In other words, I’m not coeliac, but I just can’t seem to eat wheat-based foods without spending all evening on the toilet. And so, I ask the waiter if I can have the gluten-free bread in an embarrassed whisper. I apologise to the dinner party host for being that annoying gluten-free person at the table** (no need to roll your eyes – I’ll do it for you!). And I listen when the same old anti-GF discussions come up, and wish the ground would swallow me – and the gluten-free lump in my throat – whole. But then, last night, I read said article. I’ve read dozens of its kind – peppered with words like ‘craze’, ‘fad’, and ‘trend’. It places me – and 1 in 5 others – in a gluten-free ‘community’, as though we receive a weekly newsletter and meet up for coffee mornings to discuss our bowel movements. But this time, I found myself wondering, why am I apologising? Do people really think I’d rather eat cardboard bread than a lovely, squishy tiger loaf? Never mind the agony of an evening spent with a stomach full of wind – try watching your friends tuck in to a pizza. Or forking out over the odds for a loaf of bread made to feed one of The Borrowers. And yes, I’ve read the same articles as you – the ones about the Chorleywood process and the perils of factory bread. And I realise there’s probably a lot more to it than simply cutting out wheat. But it’s far easier to pick up a loaf of Genius bread in my local supermarket than it is to source some 10-hour-proved loaf that may or may not agree with my gut. And with 2 young kids to look after, it’s just not really worth the risk or the petrol. Perhaps it’s because I have a grumpy newborn and a bad case of sleep deprivation. But I’m amazed that people care so much about what’s on my plate. I’m a Christian, and a feminist, too (as unfashionable as it is to admit to either of those things, let alone both in the same sentence). Yet neither of those choices has ever garnered the same negative response, the same need to challenge, as the fact that I’ve chosen to stop eating wheat. So, to Julia and the rest of the anti-GF brigade, I would simply say this. Please have a word with my digestive system about this whole gluten-free ‘craze’ it seems to be caught up in. Because believe me, missing out on a huge hunk of bread and butter is far more inconvenient for me than it is for you. *Although it seems to be just wheat that my stomach can’t handle, most free-from foods cut out gluten entirely. So, although it doesn’t need to be, most of the pre-packaged food I eat is GF. **I should clarify that my friends and family (particularly my lovely mother-in-law) constantly go above and beyond to accommodate me at the table, and I am so grateful! Why you need to test products for yourself (even on corporate blogs). Why I bought my son a doll’s house for Christmas. 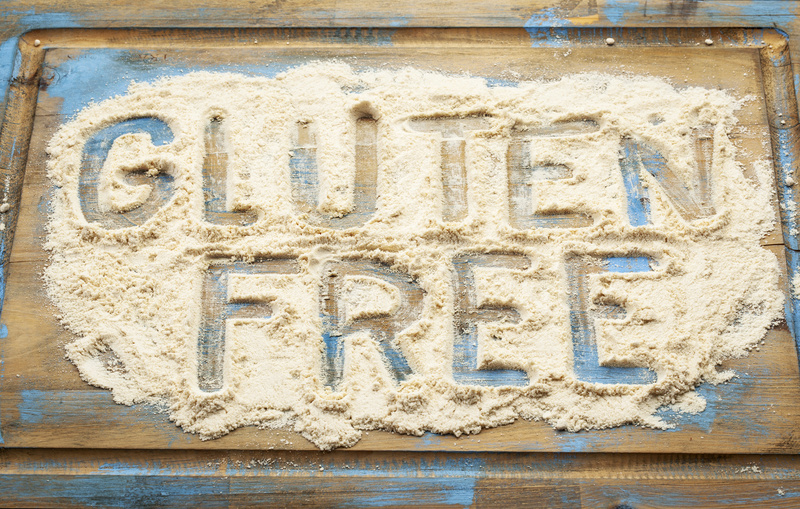 great article wish some of those who rubbish coeliacs could see how they can suffer so much if they deviate from the gluten free foods and even accidentally eat what is described as GF then find recipes for sauces etc that used to be ok and have differnt items added can cause so much grief. We usually try to take food that we know is ok as the choices can be very limited or non existent.